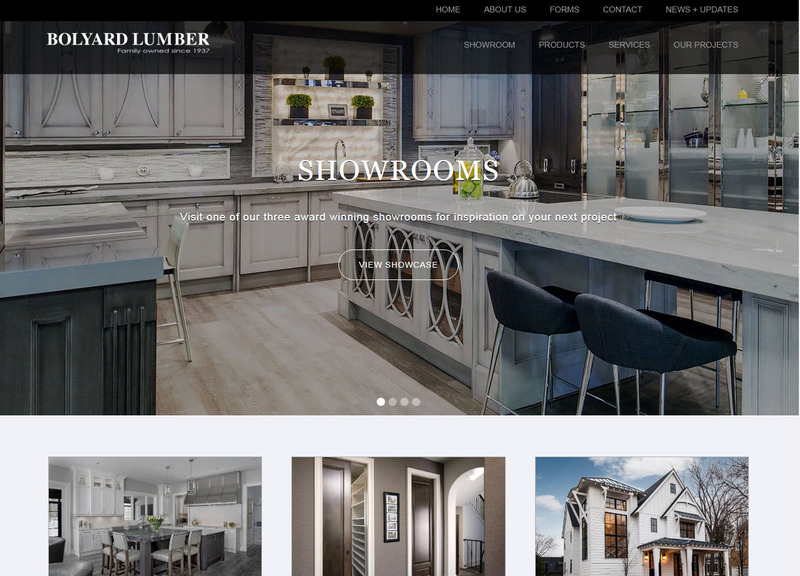 Bolyard Lumber is very pleased to announce the launch of our brand NEW website, designed with a fresh new look and user-friendly navigation. Updated with the latest information about our services and products, we hope the website can provide our visitors and customers an easier way to learn about what we have to offer. Read below to see some of our favorite new features! We know today's world keeps us busy and sometimes that leaves us with limited access to our home computers/laptops. That's why one of our top priority's was making sure we incorporated a responsive design; Making the new website accessible and easily navigated from your home computer, your tablet or right from your smart phone. Saw a product you loved in our showroom and want to see it again or show someone else? We have you covered! Jump over to any of our new showroom pages to see some of our featured products and some information on each of our three showrooms throughout Southeast Michigan. We love our builders and are continually impressed with the amazing work you do and couldn't bare not having the opportunity to show you off a little bit. That's why we've included an entire page dedicated to the projects you've completed. Click below to check out some of the homes we already have featured or email Kiley to get more information on how you can have your own recent Bolyard Lumber project featured! We understand that sometimes you need things now but getting them "now" can raise an issue. To better assist you, we've included an ever growing Forms & Resources page where you can find downloadable PDFs from anything to our credit & employment applications to our moulding profile booklet to vendor product catalogs & more! These are just a few of our favorite new features on the website. Check it out for yourself to find your new favorite!